The Old Town of Tallinn is Estonia's capital city located on the coast of the Baltic Sea. The cultural hub remains one of the most historical sites in the area famous for its cobblestone streets and Gothic aesthetic. It's medieval layout, cobblestone street, and baroque architecture gives Tallinn unmatched character. Alexander Nevsy Cathedral is one of the top landmarks in the city. This Orthodox 19th-century cathedral sits in the heart of the city and is adorned with striking detail and an incredible onion-dome. This romantic city offers a wide variety of walks, sights, and attractions. Check out the modern Town Hall Square, a natural magnet for people that becomes engulfed in cafe tables during the summer. Also, stop by the St. Catherine's Passage for a romantic walk along the hidden passage behind St. Catherine's Church. One of the best ways to see Tallinn and immerse yourself in the culture is by walking through its streets. Check out some of their free walking tours and learn about Tallinn’s history, culture, and architecture from professional locals, and make a few new friends along the way! The most popular tour in Tallinn is the Tallinn Free Walking Tour. Follow the friendly guides through century-old cobblestone streets and hear their stories as Tallinn locals. Learn about the city's history and its importance to Estonia, and visit the top landmarks in Tallinn. These attractions include many of Tallinn's iconic churches, Freedom Square, King's Garden, Town Hall Square, and Alexander Nevsky Cathedral. 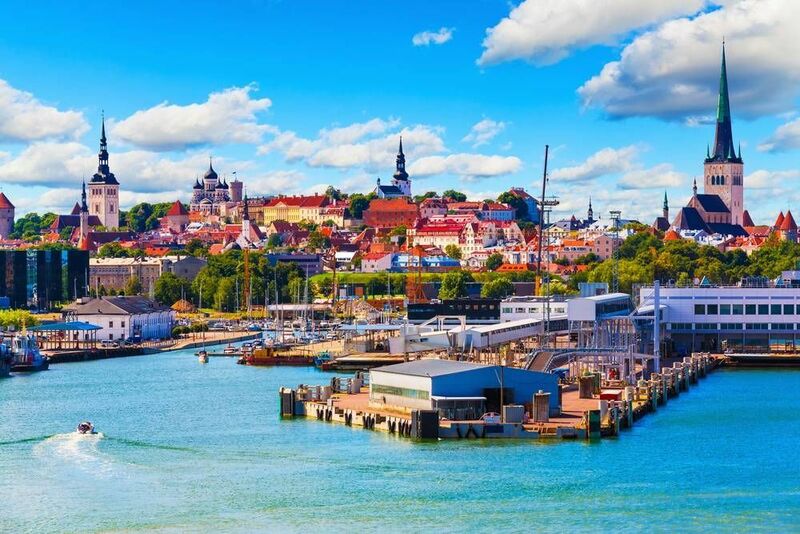 This tour is held seven days a week during the spring and summer months and is the perfect introduction to Tallinn and Estonia. Join the knowledgeable and friendly guides in an adventure through the city. Experience the fascinating medieval history and visit all the important landmarks of Tallinn. The guides are trained in their field and can answer any questions you may have about the history, culture, and architecture of Tallinn. Below you can find more popular (but not free) activities and tours in Tallinn. Please note Strawberry Tours does not operate the tours listed above, however, we are currently looking for people from all over the world who are excited to show their hometown to others. Are you from Tallinn and want to be a tour guide? Please get in touch by submitting your details on this page!